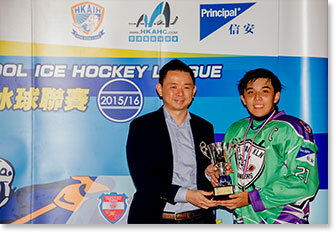 Organized by the Hong Kong Amateur Hockey and with Principal Hong Kong as the Title Sponsor, the 2015-16 Hong Kong School Ice Hockey League Championship games (high school) were successfully completed on June 30. Wah Yan College, Kowloon (WYKLN) was finally able to reunite with the Gold medal, which they took home 6 years ago. 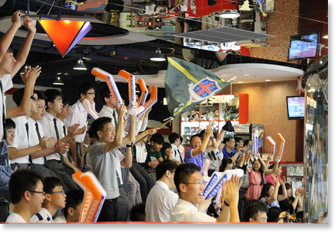 WYKLN won the Division A Championship game by 1 goal against their opponent Po Leung Kuk No. 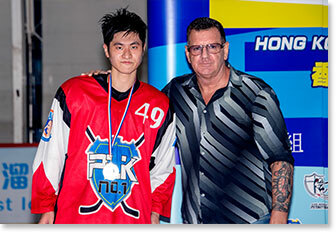 1 WH Cheung College (PLK No.1), Kobe Yuen of WYKLN was also named the MVP of Division A. Before the final game started, Head of Marketing & Corporate Communications of Principal Investment & Retirement Services Ltd, Mr. Choi Hon Wah, along with Hong Kong Academy of Ice Hockey General Manager (Coach) Mr. Barry Beck, Principal of Po Leung Kuk No. 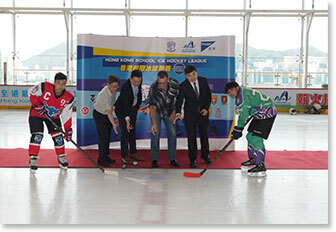 1 WH Cheung College Mr. Chau Chor Shing and Principal of Wah Yan College, Kowloon Mr. Warren Chung Wai Leung, along with the two championship game team captains Charcoal Cheung and Clayton Yip, gathered for the Drop Puck Ceremony before the Championship game between PLK No. 1 and WYKLN. The championship game was very intense with both teams giving their best. PLK No. 1 scored the first goal in the first period with WYKLN tying the game in the second period. In the last period, both teams fought to score the deciding goal which will win them the gold medal. Finally WYKLN scored the winning goal in the third period, bringing them to the throne of Division A of the school league. The championship game for Division B was held earlier that evening, with WYKLN Team 2 winning the gold medal. It was a very fruitful year for WYKLN! 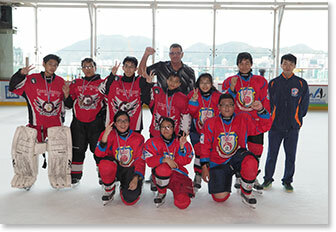 This is the 6th consecutive year that Principal Hong Kong has been the Title Sponsor of the Hong Kong School Hockey League (high school), Mrs. Carmen Lam, Managing Director of Principal Investment & Retirement Services Limited, is glad to see that ice hockey is becoming more popular within the school community and the passion for the sport is spreading amongst the students. 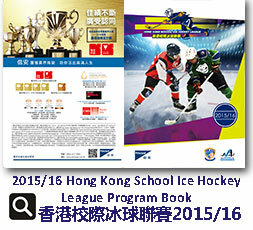 Also apparent are the diverse roles in which previous participants of the school league has taken up in the recent years, such as game officials or coaching players of their previous school’s team, this illustrates that past players of the league has found their path in the Hong Kong hockey community and they are passionate about giving back to the sport.